This is roughly what I look like. My name is Scott Benson. I am a game designer, writer, animator, and illustrator. I co-created a game called Night In The Woods. It was released in February, 2017. It was a critical success, reviewing very well and landing on top 10 and other such year end superlatives lists at dozens of publications. It also won Grand Prize and Best Narrative at the 2018 Independent Games Festival, and picked up a BAFTA for Narrative. 350,000 people or so have played it at the time I’m writing this. I co-founded the independent animation collective Late Night Work Club. My animation work has screened all over the world in some form or another at most major festivals. I have done a bunch of talks too. I’m an alright talker. I currently reside in Pittsburgh, PA with my wife and my cat. After many years in the freelance art/animation field, I am no longer accepting contract work. Sorry, folks. 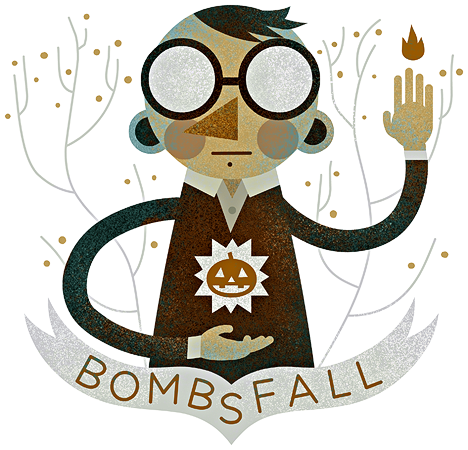 © 2018 Bombsfall.com. All rights reserved.